If you love working out in the garden or like growing your own vegetables, you would know how rewarding it is to see what you planted grow. 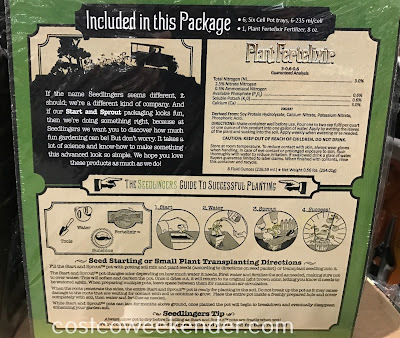 You will also know that germinating seeds can be quite difficult. A lot of times only some seeds end up making it. You can, however, increase your odds of growing large plants, vegetables, or flowers with Messinas Start and Sprout. It comes with six 6-cell pots with fertilizer conducive for your seeds to sprout. Not only that, but once your seedlings are ready to be transferred to the ground, you can just transplant both the seedling and the pot that it's in. Removing a seedling from a pot can be a big shock to your seedling and can prove to be harmful. 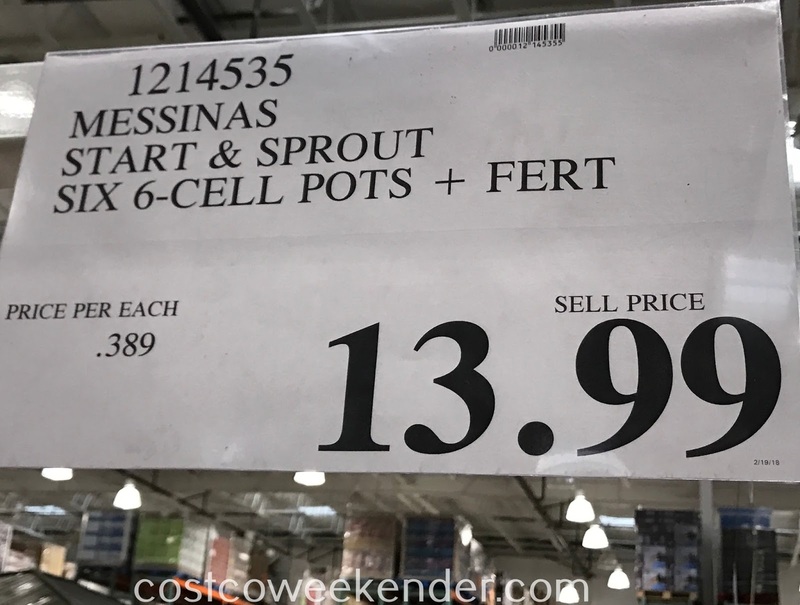 With the Messinas Start and Sprout, you don't have to worry about that since the pot itself breaks down when buried into the ground. The biodegradable, bovine-creatable, sustainable, plantable pot! 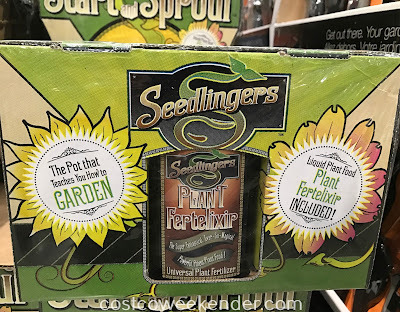 If the name Seedlingers seems different, it should, we're a different kind of company. 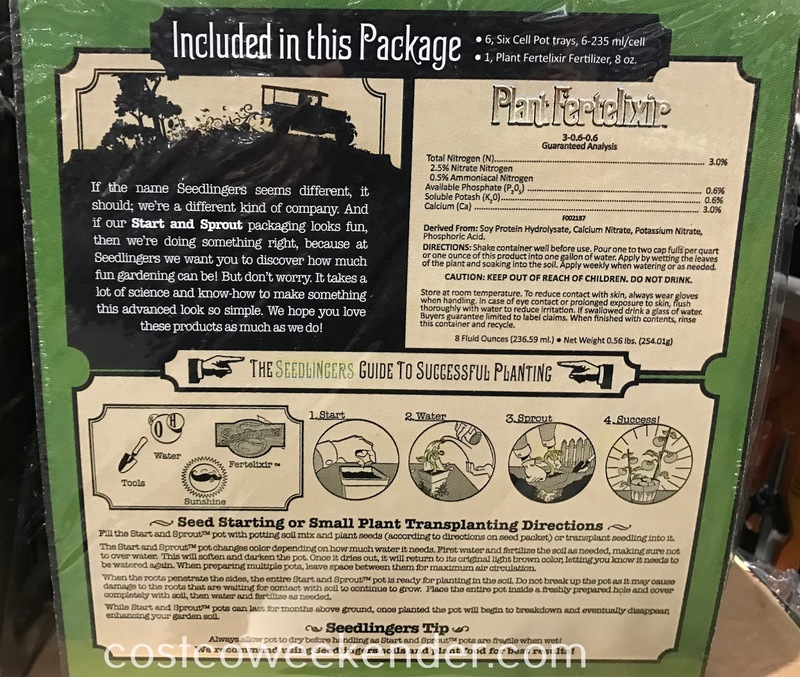 And if our Start and Sprout packaging looks fun, then we're doing something right, because at Seedlingers we want you to discover how much fun gardening can be! But don't worry. It takes a lot of science and know-how to make something this advanced look so simple. We hope you love these products as much as we do! Fill the Start and Sprout pot with potting soil mix and plant seeds (according to directions on seed packet) or transplant seedling into it. 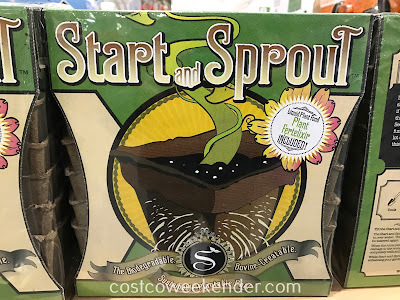 The Start and Sprout pot changes color depending on how much water it needs. First water and fertilize the soil as needed, making sure not to over water. This will soften and darken the pot. ONce it dries out, it will return to its original light brown color, letting you know it needs to be watered again. When preparing multiple pots, leave space between them for maximum air circulation. When the roots penetrate the sides, the entire Start and Sprout pot is ready for planting in the soil. Do not break up the pot as it may cause damage to the roots that are waiting for contact with soil to continue to grow. Place the entire pot inside a freshly prepared hole and cover completely with soil, then water and fertilize as needed. While Start and Sprout pots can last for months above ground, once planted the pot will begin to breakdown and eventually disappear, enhancing your garden soil. Seedlinger's Tip: Always allow pot to dry before handling as Start and Sprout pots are fragile when wet! 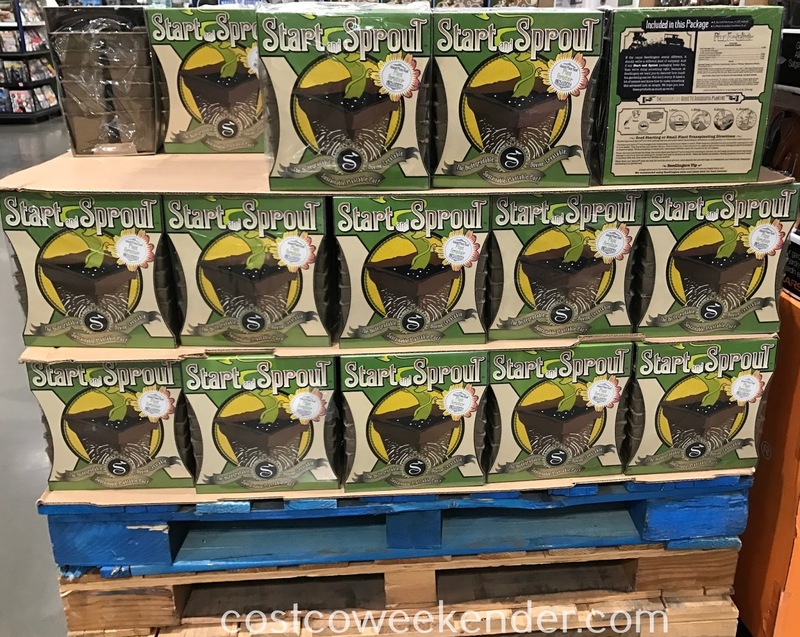 CostcoWeekender is a blog about anything Costco. 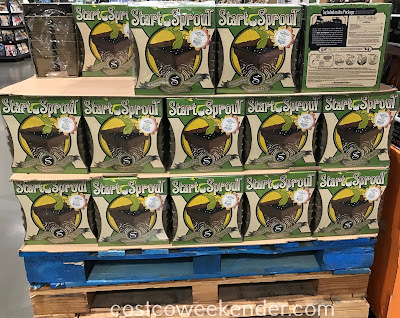 We have product reviews, descriptions, Costco coupon books, deals, and price comparisons on items sold at Costco and tips on surviving and shopping at our favorite wholesale warehouse store. We cover products (including Kirkland) and great deals from everyday items to electronic gadgets in order to give you more savings. We make every weekend into a Costco weekend. Disclaimer: We are in no way affiliated with Costco in any way, shape, or form. We do not work, nor are we paid by Costco. We are a product review blog.